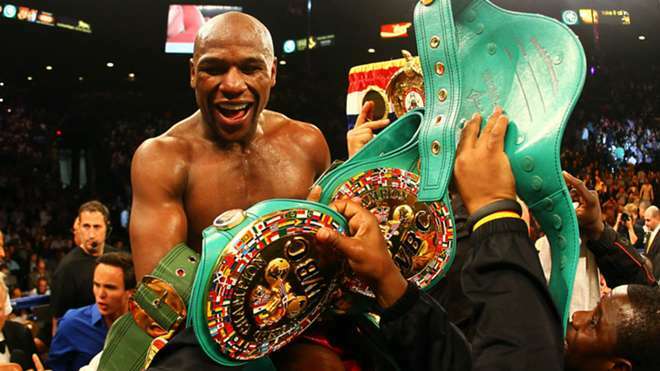 Floyd Mayweather is in negotiations to potentially land a major deal to fight in the UFC. That's according to UFC color commentator Joe Rogan, who is close friends with UFC President Dana White, and brought up the topic on his podcast Tuesday. "This is one thing I can tell you. Dana told me that Floyd wants to make a deal in the UFC, legitimately," Rogan said. "I texted him, I go 'is Floyd really talking about fighting in MMA?'. "He goes 'Yeah, he's f------ crazy, I told him he'd get killed, but he's still talking about it." Mayweather (50-0, 27 KO's), 40, who defeated UFC lightweight champion Conor McGregor via 10th-round TKO in August, said last week that he was offered $1 billion to fight "in the Octagon," and "do a three or four-fight deal." Trainer Robert Garcia even predicted before the fight that there would be a rematch, but Mayweather would crossover to the UFC for the second bout. Some laughed at the thought, but perhaps Garcia was on to something. It's not the craziest thing we have seen happen in boxing. What do you think? Will Mayweather fight in the UFC?